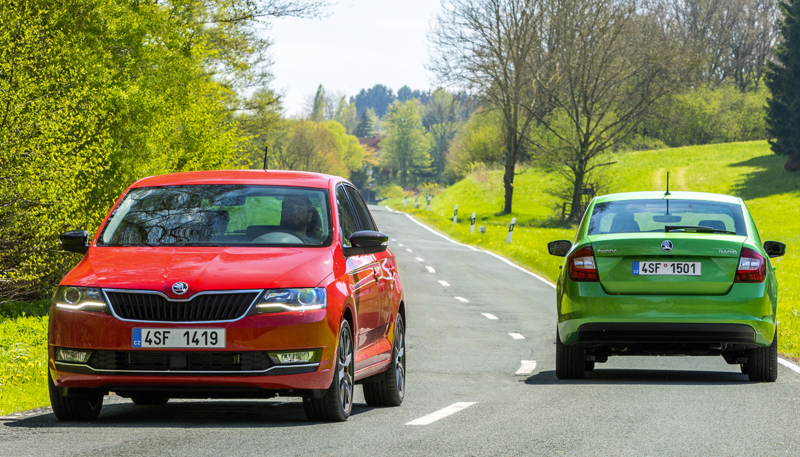 Come and get acquainted with the new heart driving several ŠKODA automobiles. 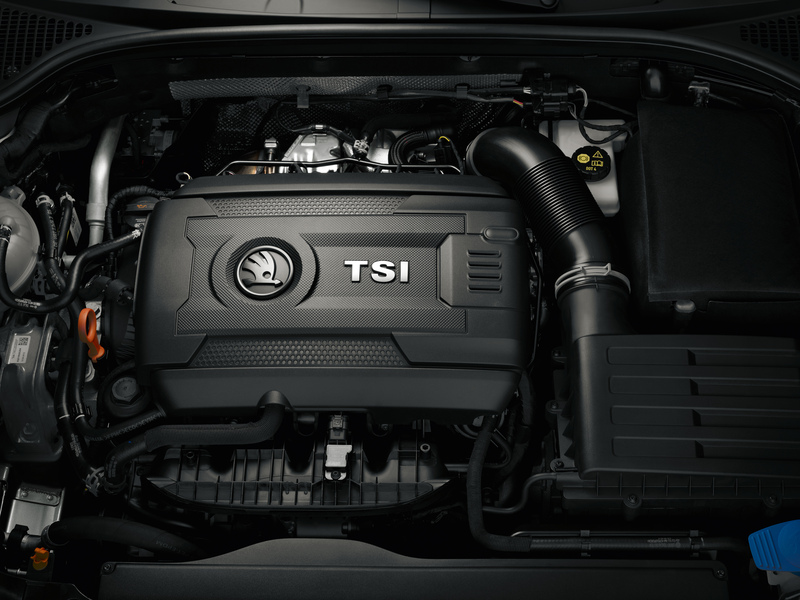 The 1.0 TSI engine is a state-of-the-art three-cylinder powertrain boasting a large number of innovative solutions. 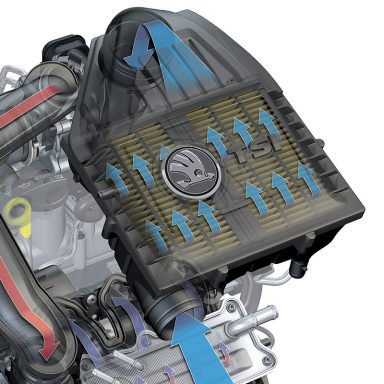 Minimal weight is a crucial factor in designing modern cars, and all the more so in designing engines. That is not only because the engine is one of the heaviest parts of the vehicle, but also because it contains a number of rotating and otherwise moving parts. 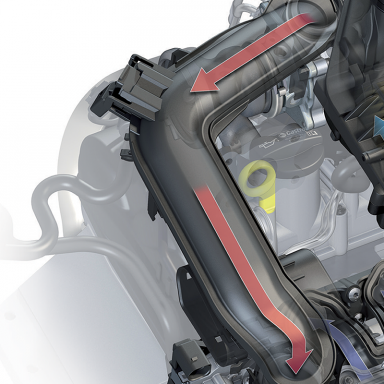 The main objectives for the designers of the brand new three-cylinder 1.0 TSI engine were to achieve low weight, minimal internal friction and losses, and the smallest possible mounting dimensions. The result is a compact design that maximizes use of aluminium alloys, thereby allowing the designers to achieve a standard engine weight of a mere 93 kg. 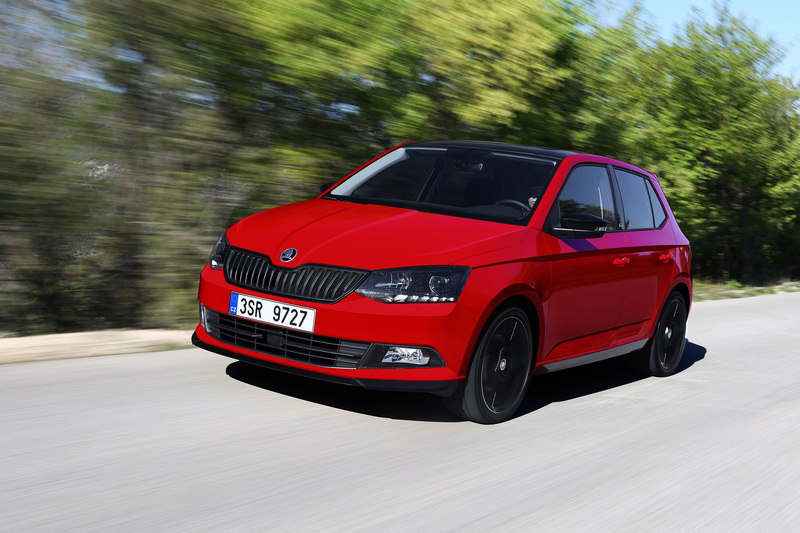 That is 10 kg less than that of the previously used 1.2 TSI engine even though the performance is comparable. “The engine has a higher output, greater torque, lower weight, lower fuel consumption, and therefore lower CO2 emissions. 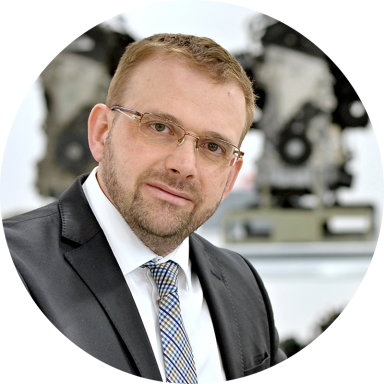 It has excellent acoustic and vibration properties due to a clever solution we implemented in this engine,” describes Dr Martin Hrdlička, head of chassis and powertrain development at ŠKODA. 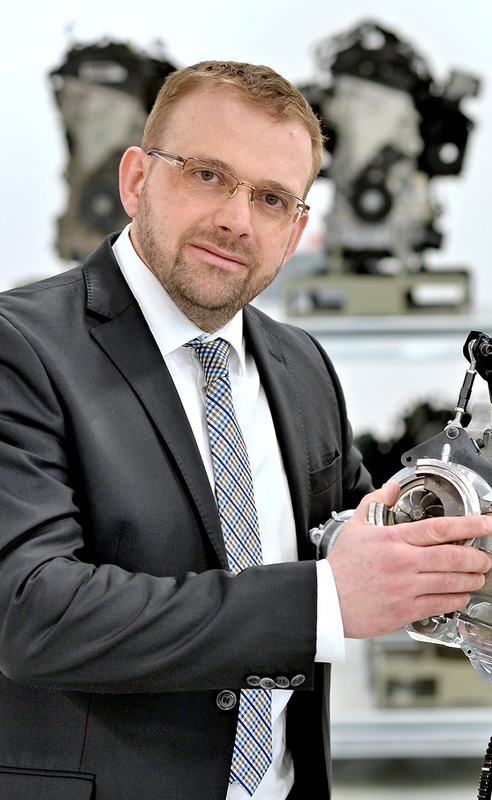 “Of course, it was not easy to achieve these parameters,” says Hrdlička, who points out such innovative solutions as, for example, better materials for the turbocharger to withstand higher temperatures and improved alloys for the cylinder heads. He also points out that the oil pump can fine‑tune the oil system pressure and that due to the two-circuit engine cooling the cylinder heads are cooled to a lower temperature than is the engine block. Engine balancing has been resolved in a very imaginative way that effectively allows getting by without the rather heavy balancing shaft customary in three-cylinder engines. A variable displacement oil pump, direct fuel injection with pressure up to 250 bars, and a turbocharger with electric intake pressure control (up to 1.6 bars) and very refined temperature control, as well as a compact intake manifold with integrated pressurized air intercooler ensure maximum user friendliness in all modes plus high fuel-efficiency. 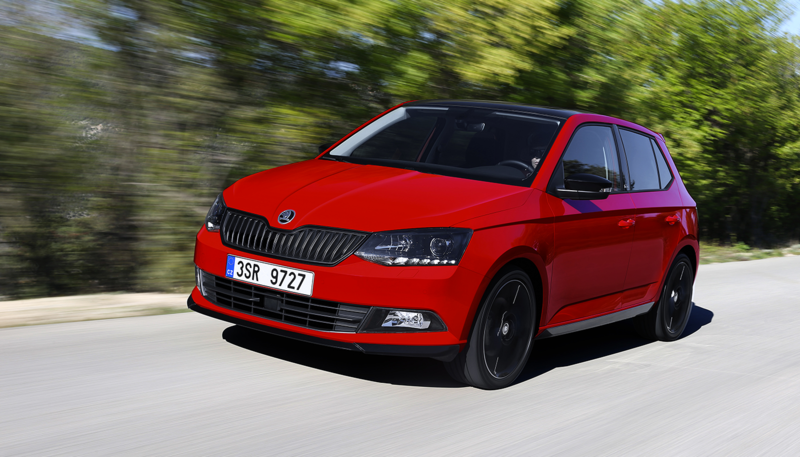 The new powertrain, made in Mladá Boleslav, is designed for ŠKODA FABIA, ­RAPID, OCTAVIA, and KAROQ. 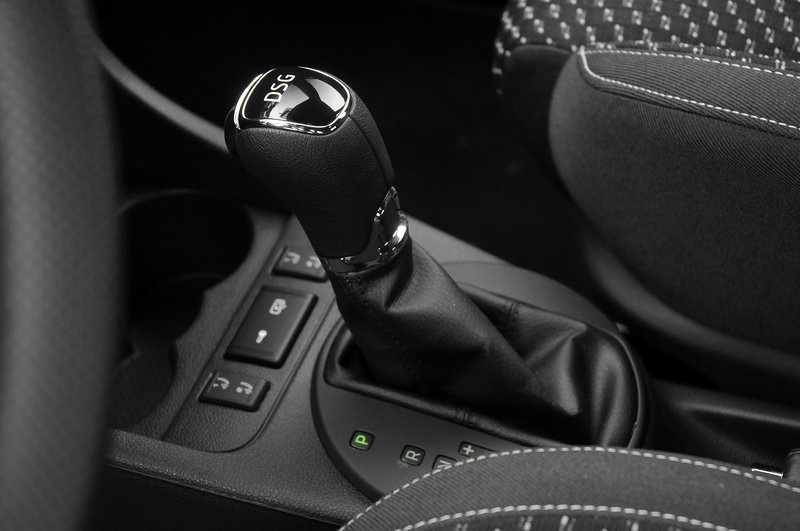 The 1.0 TSI engine is currently offered in combination with five- and six-speed manual transmissions and a seven-speed automatic two-clutch DSG transmission. 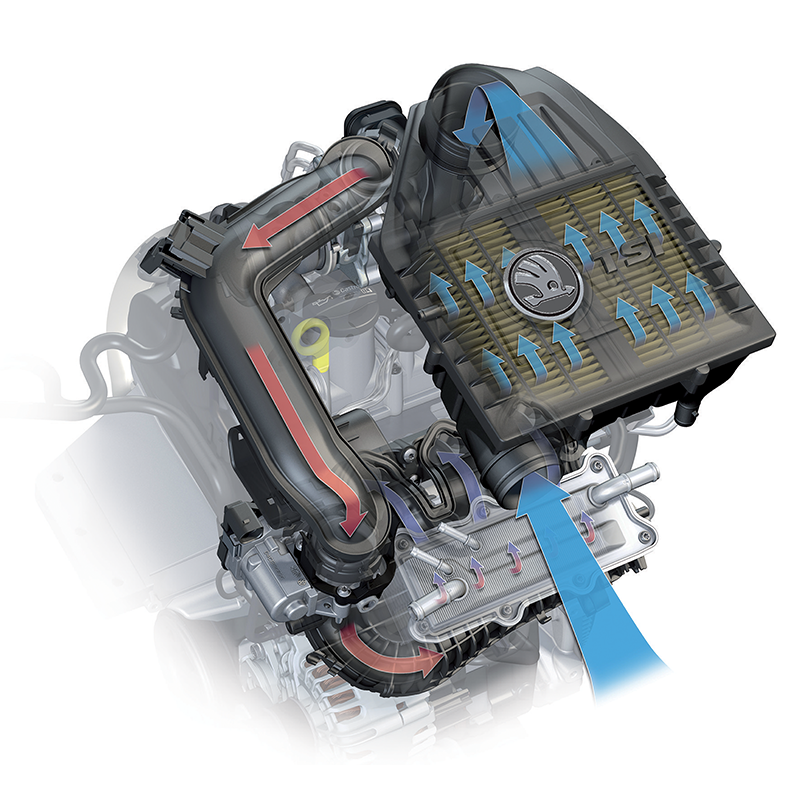 Depending upon overall configuration, this engine delivers power within a range from 70 to 85 kW. 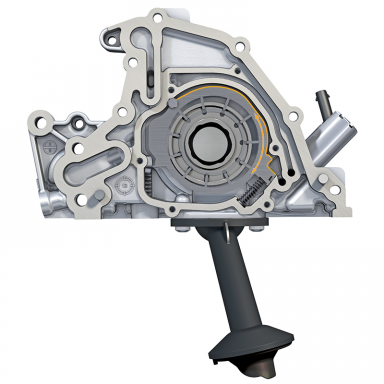 The engine block is constructed from pressure-cast aluminium with an open cooling area facilitating better heat transfer away from the most stressed upper part of the cylinders. That ensures, among other things, long piston ring life. Among other advantages, the grey cast iron cylinder sleeves provide high rigidity to the block. Aluminium pressure casting has a uniquely long, almost 55-year tradition in Mladá Boleslav. The foundry processes more than 20,000 tons of aluminium alloys every year. 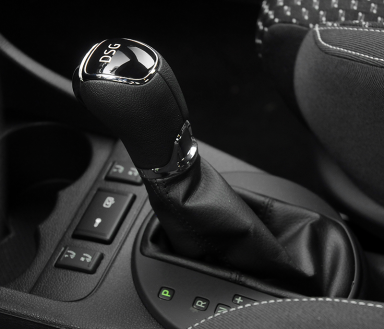 The state-of-the-art three-cylinder engine has a very compact design. The induction system has a very short intake tract, with a water intercooler for pressurized air integrated into the air induction chamber. 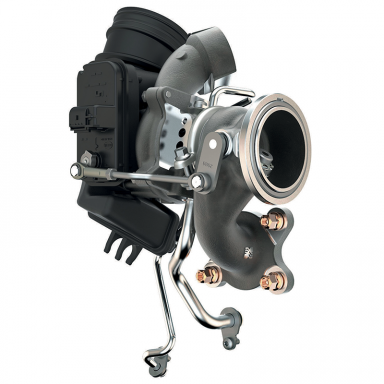 This solution, together with an electrically regulated throttle valve controlling the turbocharger’s intake pressure, ensures that the engine responds very quickly to movement of the accelerator. 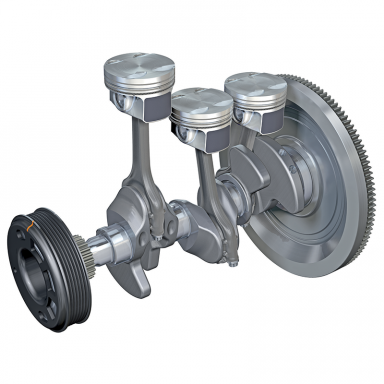 The rigid engine construction, light crankshaft, transverse construction of the unit, and intricately designed vibration dampers and flywheel permit doing away with the balancing shaft. The vibration dampers and flywheel contain carefully designed imbalance features specific for each model line. The absence of the balancing shaft reduces weight and internal friction, thereby delivering more efficient operation. 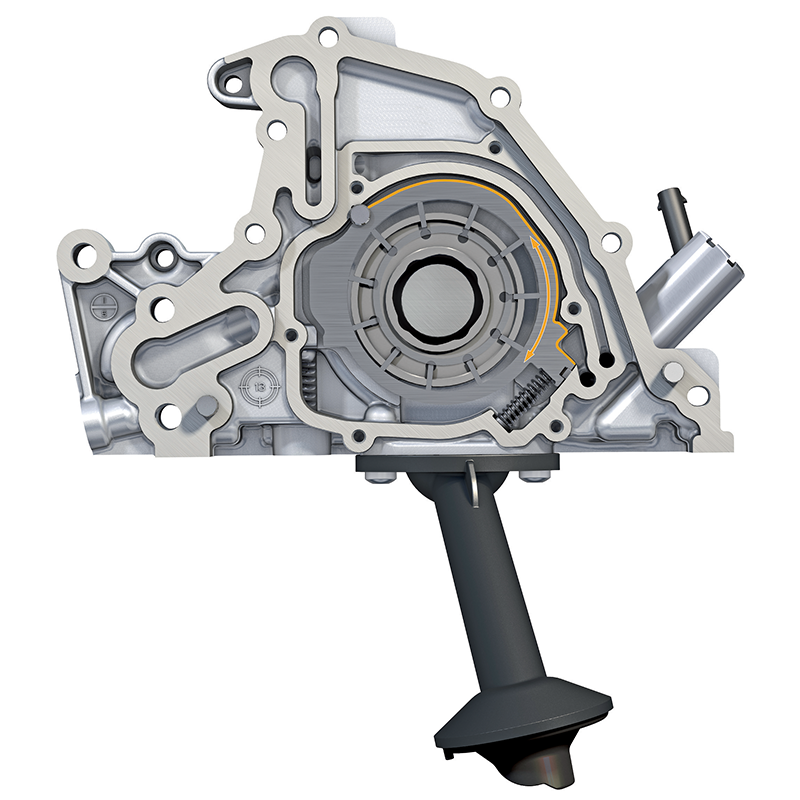 The oil pump has a vane design with variable eccentricity of the crankshaft. Under normal operating conditions, oil pressure can be regulated in the range of 1–4 bars, depending on the needs of the bearings and the requirements for cooling pistons, cam adjusters, etc. Oil pressure is measured by a sensor and regulation is by an electromagnetic valve. By decreasing losses from oil pumping, fuel consumption is reduced. 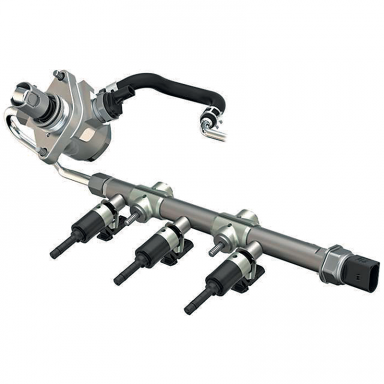 Fuel is injected into the cylinders under pressure of up to 250 bars. The system operates with multiple injection and allows for up to three injections per cycle when necessary. This, together with the carefully designed shape of the injected fuel stream ensures optimal mixing in all combinations of load and engine speed. 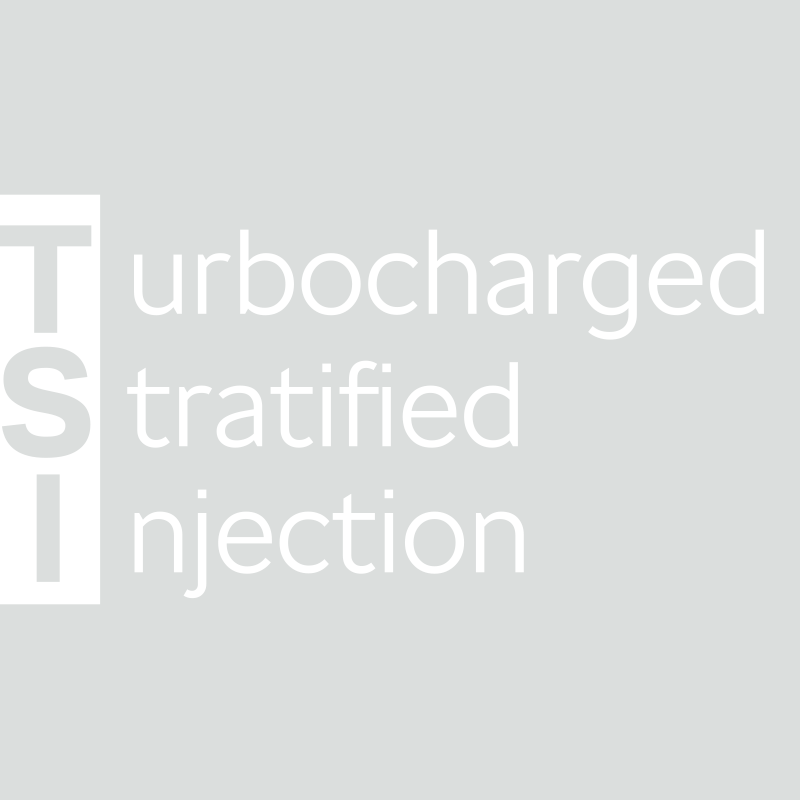 The turbocharging design for the 1.0 TSI engine uses a high-pressure turbocharger (up to 1.6 bars). A rapidly responding electric controller of the throttle-regulating intake pressure ensures, among other things, quick response and high torque at low engine revolutions. The technology of hollow and sodium-filled exhaust valves is used in motorsport and in high-performance engines. The sodium filling prevents overheating of the valves and allows the engine to operate at higher exhaust gas temperatures. A hollow valve’s weight is 3 g lighter than that of a solid valve.